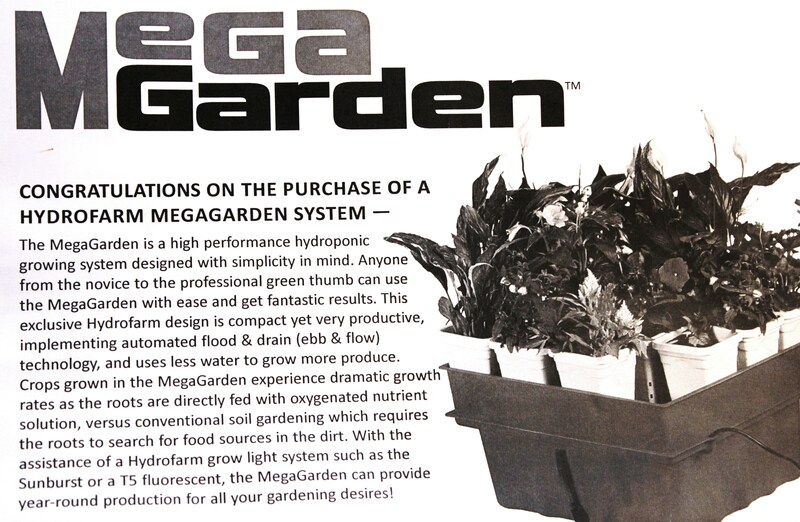 For Christmas this past year I received a Mega Garden System made by Hydrofarm, Inc. Let me just say, my excitement level was off the chart and my husband received a nice big hug for his choice in gifts. I often teased him about moving south, buying a pool and converting it into a fish farm/aquaponics system. At least he was on board with providing me this small home version of a hydroponics garden. After messing around with the system for a few hours and after struggling with the lack of detailed directions, I was finally able to begin my trial run. It was a rough start initially; one I hoped would result in a robust fresh herb garden I can utilize year round. Once the system was set up according to directions, the next step was adding seed to the plugs for germination. Rockwool or stonewool plugs are made from molten rock spun into a light, insulation-like material. 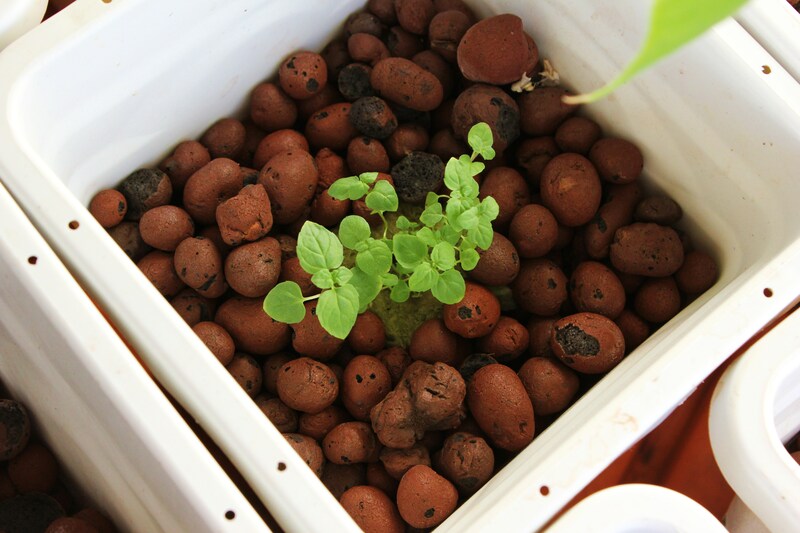 An organic alternative to rockwool plugs would be high-quality Coir or Coconut Fiber. Both options allow for circulation of water and nutrients. They also permit enough space between the fibers for oxygen exchange and root development. It was as simple as popping a couple of seeds into a hole made in the material. Placing the plugs on a shallow tray, I kept the medium moist while maintaining a proper temperature (approx 77 degrees Fahrenheit) to get everything started. By testing the viability of seeds saved from last year’s green beans it gave me a good feel for the technique. Not only were my seeds a success, but the hydroponic system proved to speed the process along quite nicely. I would have never guessed I could have green beans ready for harvest in the middle of February. Planting a few more seeds I already had on hand, I tried my luck with mint, parsley and cilantro. Started at the same time as the green beans, their growth seem to be stunted due to the lack of deep root structure needed soak up adequate amounts of water/nutrient mix. To correct this, I recently planted the fiber slugs further down into the rocky hydroponic substrate. For any future plantings I plan on allowing more time for root growth before moving the rooted slugs into the hydroponics box. The water and nutrient portion of the hydroponics system was the trickiest part of the entire setup. By following the directions on the nutrient bottle I was able to determine the proper amounts of liquid nutrient to add to the water. As a novice, the overall directions seemed diluted and they didn’t provide me with adequate guidance. Most sources suggest water temperatures of 65 degrees F, 5.5-7.0 pH and complete water exchange after the plants transpire the total volume of your system. In this case, 7.5 starting gallons minus the gallons of water added weekly to replace loss by evaporation or thru plant transpiration, equals zero – it’s time to replace your water/nutrient mix. While I’m well on my way to creating the herb garden of my dreams, this project is still considered an experiment. I look forward to learning yet another way of bringing food to my table. This time, minus the dirt! 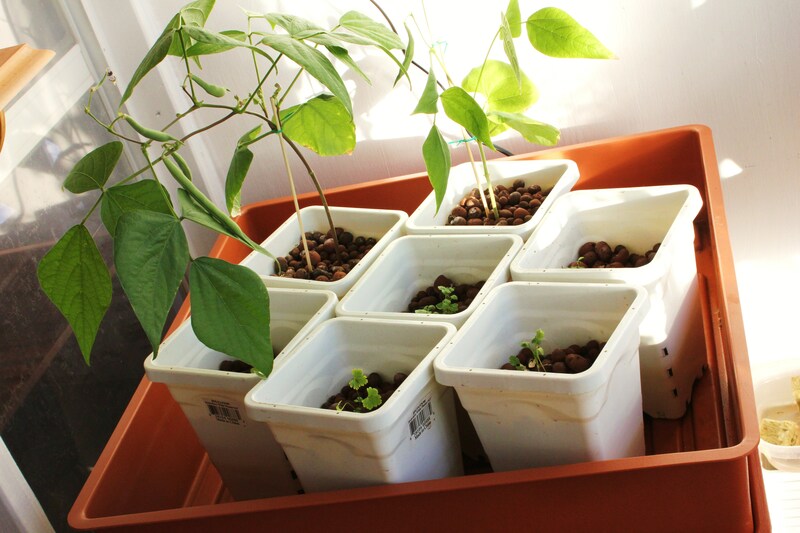 Seed Starting – the first order of business for spring.